Time for another release on Earth Mantra, this time a beautiful collection of superb live performances by Jack Hertz, called Green Mist. We at Earth Mantra have been listening to a lot of Jack Hertz recently, through his weekly live radio program on StillStream.com and Electro-Music.com called Time Drone. In this program, Jack often plays an extended live set for his listeners, which can encompass musical styles as diverse as Berlin school, Eno mood music, and drone. And through all this listening, we have come to realize that Jack is simply one heck of a live artist. Some of the most jaw-dropping live ambient music we have ever heard came out of his studio on Time Drone, and we encourage all our listeners to check out his program for themselves to see what we mean. All this is to say that when Jack came to us with a collection of such live recordings and proposed an Earth Mantra release, we jumped at the chance. Green Mist, Jack's ode to the microflora of the Pacific Northwest, is that album. And what a release this is. Typical for his live sets, Jack covers quite a bit of ground in these tracks, from the quiet and tranquil strains of Lichen, to the lush and invigorating Algae, and finally the sleek and modern Moss, Jack entertains his fans with top-notch ambient music that is as suitable for concert listening as it is as background for contemplation, work, or sleep. While listening, we find it difficult to remember that everything we hear was performed live in one take, with no overdubs or studio trickery. Working without a net, as they say, but Jack makes it look and sound easy. Jack also demonstrates some outstanding compositional chops in these pieces. It is easy when performing ambient music to get lost in the music, or worse, to be so caught up in the mechanics of performing live that one loses track of the overall piece. Not so when Jack Hertz is at the helm. The music builds and evolves along paths that seem carefully planned and well charted. The hand of the composer is evident in everything he does, and these three lovely pieces are a great testament to Jack's mastery of the live ambient form. 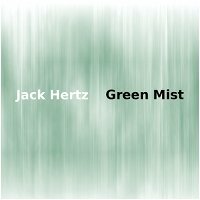 So it is with great pleasure that we introduce Green Mist, the second Earth Mantra release by electronic virtuoso Jack Hertz. Music that we think will speak to all our listeners, and certainly an album that we highly recommend.